During the recent government shutdown many numbers were thrown around. But there is one number that stands out and it has nothing to do with the debate over the federal budget. More than one a day. That is how many members of our active-duty military, National Guard and Reserve forces have committed suicide over the last year. Simply put, we are losing more service members by their own hands than we are by the enemy in Afghanistan. Only those who experienced firsthand the horrors of combat can understand why most of these young men and women feel compelled to take such drastic and permanent measures. As Veterans Day ceremonies and parades occur throughout the country, it is important that we commit ourselves to do everything possible to prevent these needless and tragic deaths. We are their friends, their family, their co-workers and their neighbors. It is up to us to ensure that every veteran feels that his or her service to this country is appreciated by their fellow Americans. If he is showing signs of unhappiness or depression, encourage him to seek help through the VA immediately. If she has had difficulty obtaining the benefits that she is entitled to let her know that The American Legion has thousands of trained service officers nationwide that will help her navigate the bureaucracy free of charge. And if that veteran has made the Supreme Sacrifice, remember the price that has been paid for our freedom and offer your support to the loved ones left behind. But Veterans Day is a time to honor not just those who have fought for us in battle, but, in fact, all of the outstanding men and women who served in our nation’s Armed Forces since our founding more than 237 years ago. Not all veterans have seen war, but a common bond that they share is an oath in which they expressed their willingness to die defending this nation. Perhaps most significant in preserving our way of life are the battles that America does not have to fight because those who wish us harm slink away in fear of the Navy aircraft carrier, the Coast Guard cutter, the Air Force fighter squadron or the Army soldier on patrol. While we should all be grateful for the remarkable advancements made in military medicine and prosthetics, the fighting spirit and inspirational stories of our veterans are not due to technology. These traits come from the heart. And many of these veterans are women, such as Army Chief Warrant Officer Lori Hill. While piloting her helicopter over Iraq in 2006, she maneuvered her chopper to draw enemy gunfire away from another helicopter and provide suppressive fire for troops on the ground. Despite flying a damaged aircraft and suffering injuries, she landed the helicopter safely, saving her crew. For her actions, she became the first woman to receive the Distinguished Flying Cross. Women are major contributors to our military presence in Afghanistan and many have given their lives in the War on Terrorism. The American Legion recently issued a report calling upon VA to improve its response to the unique needs of women veterans. The VA and military health systems need to adequately treat breast and cervical cancer as well as trauma that resulted from domestic violence, sexual harassment and assault. America is home to more than 1.2 million women veterans and they deserve our support. In the poem “Tommy,” the great writer Rudyard Kipling lamented over the rude treatment a British soldier received at a pub. Writing in classical old English, Kipling compared the abuse with the more favorable treatment that “Tommy” receives by the public during war. Let us always treat our 23 million veterans as the saviors of our country that they are—even when the guns are no longer shooting. 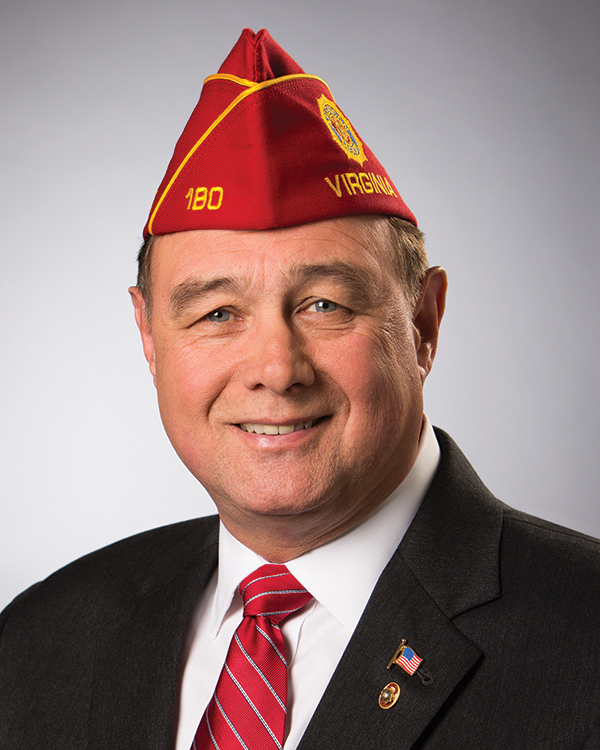 Daniel M. Dellinger is national commander of the 2.4 million member American Legion.